When we commit to a vending program for your company we will make sure it has a wide variety of “healthier for you” products including trail mixes, baked chips, juices, bottled water, juices and more. As popular as the big brand name products are like snickers, Doritos and Hostess Ho Ho’s there is an increasing demand for products that suit a more active healthier lifestyle. We understand those needs and will continually strive for a wide selection of those healthier types of products. Large manufacturers like Neslte and Pepsico are also developing newer healthier products. 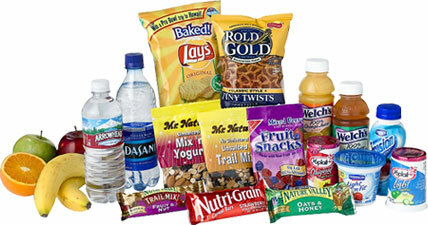 When those products become available we will rotate them into the vending machines.